Good evening everyone! I hope you all had a wonderful weekend. Recently, I spent quite some time talking about my autumn essentials and with the temperatures dropping it's time to focus a little more on some winter staples. 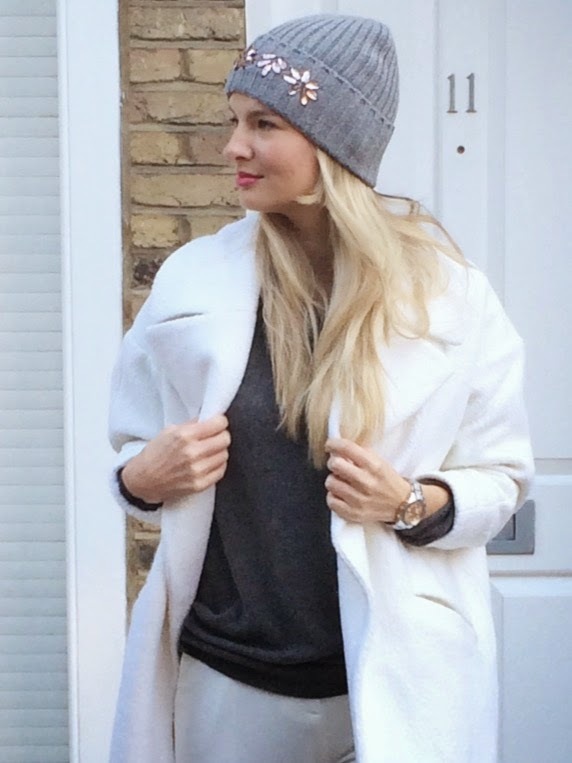 When it comes to winter wardrobe, a great coat is high up on my must-have list! Aside from being cozy and warm I love how a great coat adds that little extra to your outfit. 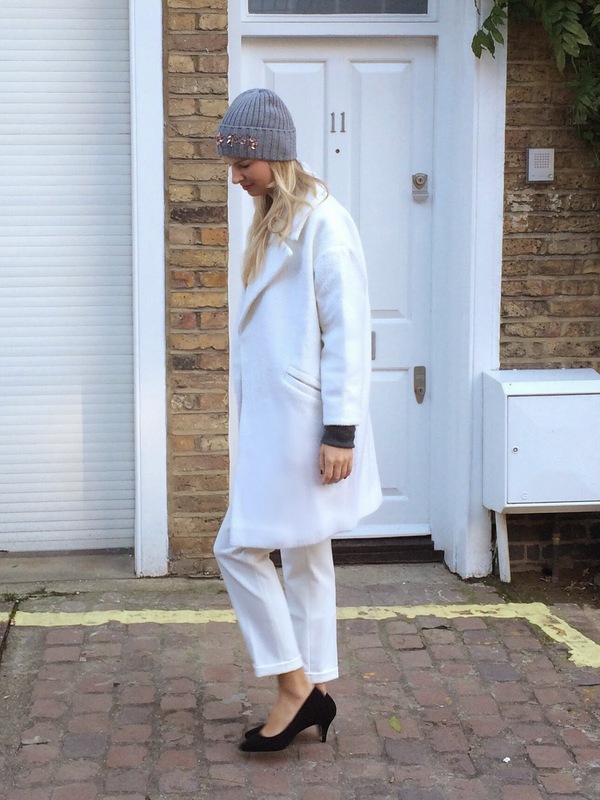 I've been on the look for a white coat for a while now and I love this slouchy Asos one. Gorgeous look, I love the mix of white and grey! Love white and grey..great look darling! love the frosty minimal feeling to the look and the beanie is super cute! Ich liebe diese hellen Outfits in der kalten Jahreszeit! Besonders schön finde ich deine Mütze!